Tewksbury, Mass., January 10, 2019 – Dates have been set for the 2019 Griffin Grower & Retailer Expos. The company will return to Massachusetts and Pennsylvania to host two Expo events this year, each spanning two days. The Massachusetts Expo will take place August 21-22, 2019, at the DCU Center in Worcester, Mass. The Pennsylvania Expo is set for September 25-26, 2019, at the Lancaster County Convention Center in Lancaster, Penn. Since 1981, the Expos have been an annual tradition for Griffin customers. The events serve as a kickoff to the booking season, offering customers a range of Expo-exclusive promotions, booking specials and educational sessions. For more information, log on to www.griffins.com. Griffin Greenhouse Supplies, Inc., headquartered in Tewksbury, Mass., has served the needs of growers in greenhouse and nursery production, and independent garden centers for more than 70 years. Griffin operates 16 fully stocked service centers, serving growers and retailers nationwide. The business also distributes green goods including seed, cuttings and young plants. Griffin is among the premier distributors in the U.S., with an outstanding reputation for operational excellence, high-quality products and superior customer service. For more information, please visit www.griffins.com. Griffin to Bring New Cannabis Growers’ Workshops to Mass. and Penn. Tewksbury, Mass., July 27, 2018 – Following a successful launch in 2017, Griffin will bring its popular cannabis growers’ workshop back to Massachusetts and Pennsylvania. This year’s program is all-new, for commercial marijuana and hemp growers, focusing specifically on crop fertility and nutrition delivery strategies. The Massachusetts workshop is scheduled for August 27 at the AC Hotel in Worcester. The Pennsylvania workshop is set for September 25 at the Lancaster County Convention Center in Lancaster. Each is a half-day program preceding the company’s Grower & Retailer Expos, which are scheduled for August 28-29 and September 26-27 respectively. Each workshop will begin at noon with a catered lunch, followed by seven educational sessions. The program includes seminars presented by Griffin tech services staff as well as experts from Premier Tech Horticulture, Master Plant-Prod, Anderson Injectors and Dramm Corporation. The Griffin cannabis growers’ workshop is suited to growers using both conventional and organic production methods. Advance registration is required to attend. Cost is $129.00 per person; group discounts are available. Visit http://www.griffins.com/cgw2018 for details and to register. 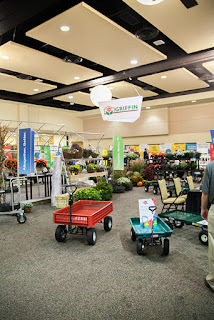 Those interested in attending the Griffin Grower & Retailer Expos may learn more and register at http://www.griffins.com/griffin-expo. The Expos are open to professional growers and independent retailers at no cost to attend. Lisle, Ill., July 25, 2018 – Griffin has announced the publication of its new Seed & Plant catalog for the 2018-19 season. The 2019 Seed & Plant catalog is available now in print and expanded digital formats. The Griffin 2018 catalog is available now for digital download at www.griffins.com/publications. The digital edition is best suited for use on tablets and computers. Print catalogs are available through your local Griffin sales representative or by calling 800.323.7253. Griffin Greenhouse Supplies, Inc., headquartered in Tewksbury, Mass., has served the needs of growers in greenhouse and nursery production, and independent garden centers for more than 70 years. Griffin operates 15 fully stocked service centers, serving growers and retailers nationwide. The business also distributes live goods including seed, cuttings and young plants. Griffin is among the premier distributors in the U.S., with an outstanding reputation for operational excellence, high-quality products and superior customer service. For more information, please visit www.griffins.com. Tewksbury, Mass., July 20, 2018 – Griffin will host two educational workshops on hydroponic lettuce and herb production, designed for ornamental growers who are considering a shift from flowers to food. The program will come first to the AC Hotel in Worcester, Mass., on August 27. An identical workshop will follow in Lancaster, Penn., at the Lancaster County Convention Center, on September 25. Each half-day program begins with a catered lunch followed by six educational sessions. Topics will focus on various considerations for growers interested in adding or transitioning production space for leafy greens and herbs. Seminars will be led by Griffin GGSPro technical services staff, along with hydroponics experts from JR Peters, Bioworks, Smithers-Oasis, BioSafe Systems and Bioline AgroSciences. The workshops will conclude with a panel discussion, wherein growers will share their experiences and answer attendee questions regarding the production of lettuce, herbs and other leafy greens. The Griffin lettuce and herb workshop is suited to current and prospective hydroponics growers at every level and operations of all sizes. Advance registration is required to attend. Cost is $129.00 per person; group discounts are available. Visit http://www.griffins.com/lgw2018 for details and to register. In both locations, the workshop precedes the company’s Grower & Retailer Expos scheduled for August 28-29 and September 26-27 respectively. Those interested in attending the Griffin Expos may learn more and register at http://www.griffins.com/griffin-expo. The Griffin Expos are open to professional growers and independent retailers at no cost to attend. 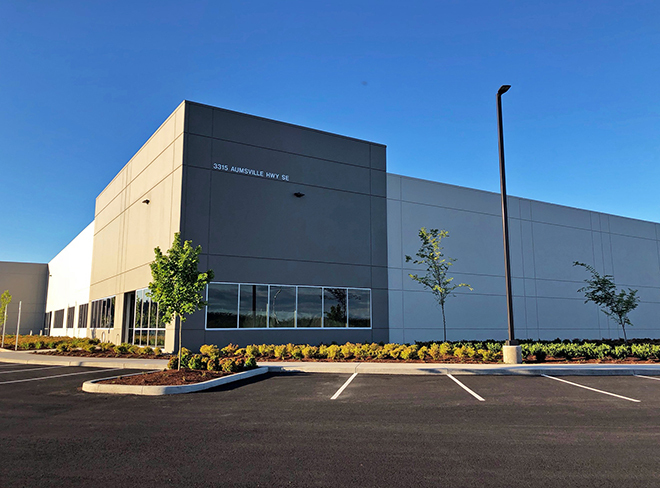 Tewksbury, Mass., July 12, 2018 – Griffin announced today that it will open an all-new distribution center in Salem, Ore., in the coming months. The 24,000 square-foot facility will become the sixteenth branch location for Griffin, and the company’s first hard-goods warehouse on the West Coast. Griffin Greenhouse Supplies, Inc., headquartered in Tewksbury, Mass., has served the needs of growers in greenhouse and nursery production, and independent garden centers for 70 years. Griffin operates 15 fully stocked service centers, serving growers and retailers nationwide. The business also distributes live goods including seed, cuttings and young plants. Griffin is among the premier distributors in the U.S., with an outstanding reputation for operational excellence, high-quality products and superior customer service. For more information, please visit www.griffins.com. Tewksbury, Mass., April 16, 2018 – Griffin will host an educational workshop for commercial marijuana and hemp growers on May 24 at the Crowne Plaza Denver Airport in Denver, Colo. The half-day program will focus on many aspects of crop fertility and nutrition delivery strategies. The workshop will kick off at noon with a catered lunch, followed by seven educational sessions. The program includes seminars presented by Griffin staff and experts from Premier Tech Horticulture, Master Plant-Prod, Dosatron USA and Dramm Corporation. The Griffin cannabis growers’ workshop is suited to growers using both conventional and organic production methods. Advance registration is required to attend. Cost is $129.00 per person; group discounts are available. Visit http://www.griffins.com/cgw2018 for details and to register. 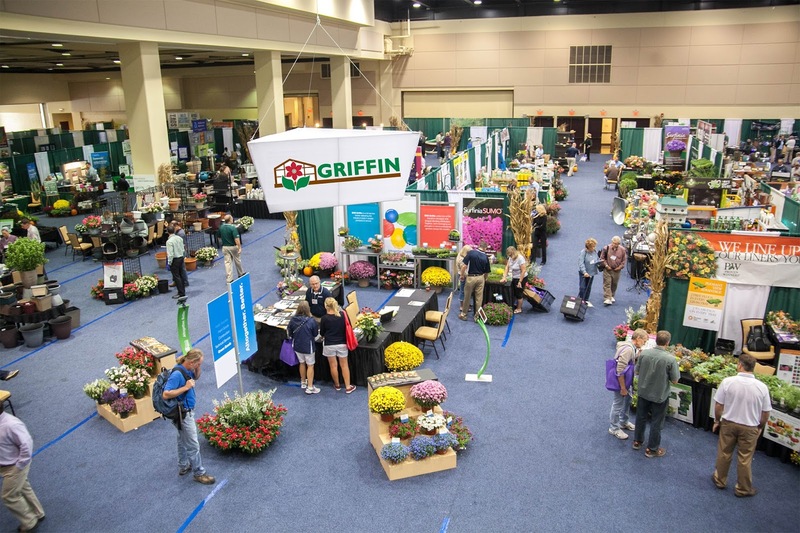 Tewksbury, Mass., November 6, 2017 – Griffin has set the dates for its 2018 Grower & Retailer Expos. The company will host two Expos next year, one each in Massachusetts and Pennsylvania; each will be a two-day event. The Expos are open to Griffin customers of all types including greenhouse and nursery growers, independent garden centers and controlled-environment agriculture operations. Both shows will feature suppliers, booking specials and educational opportunities representing the full breadth of Griffin’s product offering – hard goods, live goods and retail supplies. The Massachusetts Expo will take place August 28-29, 2018, at the DCU Center in Worcester, Mass. The Pennsylvania Expo is set for September 26-27, 2018, at the Lancaster County Convention Center in Lancaster, Penn. The Expos are an annual staple for Griffin customers dating back to 1981. The events serve to kick off the booking season, offering customers a range of Expo-exclusive promotions, booking specials and educational sessions. For more information, log on to www.griffins.com. Tewksbury, Mass., September 5, 2017 – Griffin will host an educational workshop for medicinal marijuana growers on September 26 at the Lancaster County Convention Center in Lancaster, Penn. The half-day program will include three seminars, presented by members of Griffin’s GGSPro technical services team. workshop on Aug. 22 in Worcester, Mass. The workshop will begin at noon with a catered lunch. Educational sessions will follow on the topics of sanitation, crop fertility and pest control. The latter will focus on scouting techniques and the use of biological control agents (BCAs). The Pennsylvania workshop replicates a cannabis growers’ workshop Griffin conducted on August 22 in Worcester, Mass. Timing of the Lancaster event coincides with the Griffin Grower & Retailer Expo, set for September 27-28 at the same venue. Advance registration is required to attend the Pennsylvania cannabis growers’ workshop; online registration is now open. Cost to attend is $99.00 per person; group discounts are available. Visit http://www.griffins.com/cgw2017 for details and to register. Griffin Greenhouse Supplies, Inc., headquartered in Tewksbury, Mass., has served the needs of growers in greenhouse and nursery production, and independent garden centers for 70 years. Griffin operates 16 fully stocked service centers, serving growers and retailers nationwide. The business also distributes live goods including seed, cuttings and young plants. Griffin is among the premier distributors in the U.S., with an outstanding reputation for operational excellence, high-quality products and superior customer service. For more information, please visit www.griffins.com. Dave Hartshorn, John Farr and Ted Farr have been interested in hydroponics for decades, but the technology wasn’t fully mature until a few years ago. In 2013, the team founded Green Mountain Harvest Hydroponics with a focus on growing spring mix, summer crisp lettuce, basil and watercress. They began with a modest greenhouse that was previously used on a flower farm and eventually secured an account at Whole Foods that has enabled them to scale. Heliospectra AB’s new lighting solutions have helped accelerate harvest cycles and dramatically improve Green Mountain Harvest Hydroponics’ crop quality and yields. Green Mountain Harvest Hydroponics was using traditional HPS lights in its greenhouse before partnering with Heliospectra and Griffin - the company’s long-term supplier partner - to install 115 new LED lighting fixtures. Since these lights were a direct replacement of the HPS lights, the installation process was very straightforward and the benefits were quickly apparent to the management team. 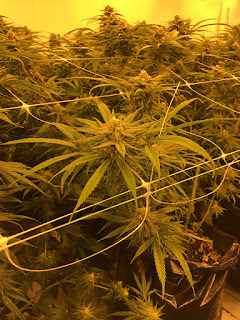 The Griffin and Green Mountain teams note that the lettuce and basil plants are now sturdier and more compact, with less tip burn and yellowing than those grown under HPS lighting. The increase in fresh weight improves the value of the product for both consumers and the business’ bottom-line. Meanwhile, the Heliospectra lighting solution also enables faster turns and an accelerated production cycle, which will add at least one additional harvest per year and help boost revenue. “John and many of our customers emphasize that the ability to control the consistency of production and forecasts enables them to take finished goods to market faster. Delivering high-quality produce to grocers and retailers on a consistent, reliable basis creates a significant impact on Green Mountain’s business performance and profitability,” Ahmadian explains. Visit Heliospectra online to learn more about the company’s market-leading LED lighting solutions. Vacaville, Calif., August 7, 2017 – Master Nursery Garden Centers (“MNGC”) has announced the addition of Griffin Greenhouse Supplies (“Griffin”) to its vendor roster, effective immediately. Griffin becomes one of five distributors in the MNGC network, and the only supplier with a product mix that spans green goods, hard goods, retail supplies. In total, the MNGC vendor network includes more than 150 manufacturers, growers and service providers. Master Nursery Garden Centers, Inc., is a member-owned cooperative comprised exclusively of independent retail garden centers. Founded in 1951, the group began as a small number of San Francisco Bay area nurseries looking to share advertising costs. Today, the organization leverages significant purchasing power for its members, with nearly 500 member businesses across the U.S. and Canada. For more information, please visit www.masternursery.com. Lisle, Ill., July 27, 2017 – Griffin has announced the publication of its new seed and plant catalog for the 2017-18 season. The 2018 catalog is available in both print and digital formats, featuring more than 350 new varieties from the industry’s leading breeders. 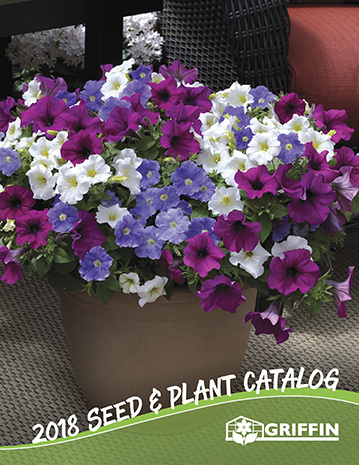 The 260-page print catalog covers more than 3,300 seed items including annuals, perennials, ornamental grasses, herbs and vegetables. Vegetative annuals are also featured, including the complete assortment from Syngenta Flowers, plus new introductions and top sellers from seven other major breeders such as Proven Winners and Dummen Orange. For the first time, Griffin has added items from the Kientzler portfolio to its catalog. 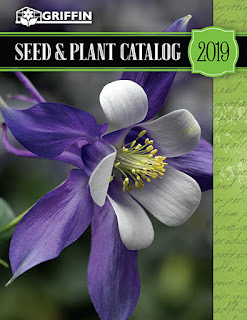 The 2018 Griffin catalog highlights more than 75 vegetative perennial varieties as well. The 2018 Seed & Plant digital catalog includes all of the variety information and photography from the print edition, plus additional resources for growers. Griffin has added 21 digital-only extras – crop culture, quick reference guides, mixed container recipes and other tools to enhance production success. Tewksbury, Mass., June 27, 2017 – Griffin recently announced the schedule of educational sessions for its 2017 Griffin Grower & Retailer Expos. The schedule includes two seminars in which attendees may qualify for pesticide recertification credits. The first, “Hot Topics in Pest Control,” is presented by GGSPro Technical Support Manager Rick Yates. In this one-hour session, Yates will review the latest new products and best practices in pest and disease management. He’ll also share reviews on how recent introductions have performed for growers in real-world conditions. “Hot Topics in Pest Control” is an annual staple, and the most heavily attended Expo seminar each year. In “How to Fight Foliar Diseases,” Yates will lead a deep dive into prevention and control of foliar diseases including Botrytis, Rhizoctonia, fungal and bacterial leaf spots, as well as downy and powdery mildew. Attendees will learn about detailed rotation strategies, cultural best practices and practical prevention tips. 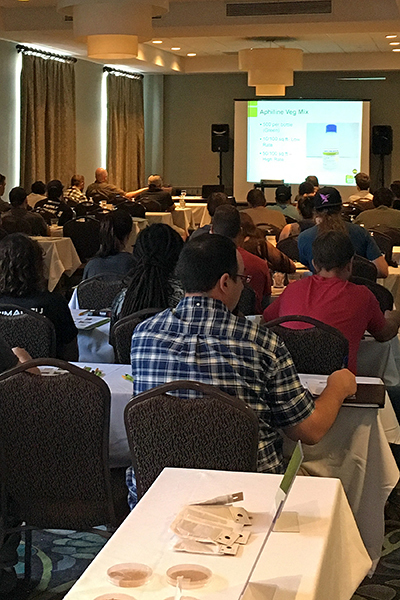 This session and “Hot Topics in Pest Control” are geared toward growers at every level, from beginner to advanced. “Beyond the Plants: The Magical Mad Potter Tour” is a retail-oriented session presented by John Johnston, Griffin’s retail education manager. Expo visitors are invited to discover custom looks in containers, planting vessels and more to differentiate their retail offer in the all-important container-gardening category. Johnston will share examples from forward-thinking IGCs across the country. The 2017 Griffin Expos will also include educational sessions presented by HC Companies and Dosatron. The Massachusetts Expo will take place August 23-24, 2017, at the DCU Center in Worcester, Mass. This marks a change of venue for the Massachusetts Expo, formerly held at the Eastern States Exposition Center in West Springfield, Mass. The Pennsylvania Expo is set for September 27-28, 2017, at the Lancaster County Convention Center in Lancaster, Penn. Online registration for the 2017 Griffin Expos is now open. For schedule details and to register, log on to http://griffins.com/griffin-expo. Griffin has signed agreement to open new branch location in Aurora, Colo.
Tewksbury, Mass., January 3, 2017 – Griffin announced today that it will open an all-new service center in Aurora, Colo., early this year. The 18,500 square-foot facility will become the fifteenth branch location for Griffin, and the company’s first hard-goods distribution center west of Pennsylvania. “For several years, Griffin has been working to bring our complete product offering to customers nationwide,” explained Craig Hyslip, chief operating officer at Griffin. “Establishing a distribution center in Colorado is a logical next step in our progression toward that goal." While Griffin has had live-goods representation in Colorado for many years, the company began establishing hard-goods roots at the beginning of 2016, with the hiring of Bob Conner as its first hard-goods sales representative in the area. “The response has been fantastic, and the territory has developed quickly,” Hyslip confirmed. “Growers in Colorado are seeing the benefits of our integrated solutions. We’re eager to strengthen our connection to these customers, and to be able to serve them with greater speed and efficiency through a local distribution center." Inventory at the new Aurora branch will focus on primarily hard goods, along with select retail products. Griffin indicates the product mix will include grower staples such as containers, growing media, fertilizers, chemical controls and coverings. Specific items and vendors will be catered to the needs and preferences of growers in the Rocky Mountain region. John Hyslip will oversee the Aurora branch as western regional operations manager for Griffin. He comes to the role with several years of site-management experience, having previously served as branch manager for the Griffin facility in Cheshire, Conn. Prior to that, John was warehouse manager for the company’s Morgantown, Penn., branch. Griffin is set to open its Aurora, Colo., branch in February. Mass. Expo will take place in a new venue: DCU Center in Worcester, Mass. Mass. Expo set for August 23-24, 2017, in Worcester, Mass. Penn. Expo set for September 27-28. 2017, in Lancaster, Penn. Tewksbury, Mass., November 1, 2016 – Griffin has announced the dates for its 2017 Grower & Retailer Expos. The company will host two Expo events in 2017, each spanning two full days. Both shows will feature suppliers and educational sessions representing all facets of Griffin’s business – hard goods, live goods and retail supplies. The Expos are an annual staple for Griffin customers dating back to 1981. The events serve to kick off the booking season, offering customers a range of Expo-exclusive promotions, booking specials and educational opportunities. For more information, feel free to explore this website. Griffin Greenhouse Supplies, Inc., headquartered in Tewksbury, Mass., has served the needs of growers in greenhouse and nursery production, and independent garden centers for more than 65 years. Griffin operates 15 fully stocked service centers, serving growers and retailers nationwide. The business also distributes live goods including seed, cuttings and young plants. Griffin is among the premier distributors in the U.S., with an outstanding reputation for operational excellence, high-quality products and superior customer service. For more information, please visit explore this website. Tewksbury, Mass., November 15, 2016 – Griffin is pleased to announce two new additions to its sales team. Bill Watson joins Griffin as a Sales Representative serving southern Texas and all of Colorado. Andrea Nelson has been hired as a Sales Representative in the upper Midwest, calling primarily on accounts in Wisconsin and Minnesota. Both Watson and Nelson will focus on sales and support of Griffin’s live-goods products, including seed, cuttings and young plants. Watson is a 30-year veteran of the horticulture industry. His extensive experience includes roles in production, marketing and sales. Most recently, Bill served as President and Director of Sales and Marketing with Grimes Horticulture. Watson holds a bachelor’s degree in plant science from the University of Louisiana at Lafayette. He is field-based and may be reached by e-mail at bwatson@griffinmail.com or by phone at 720.880.8928. Nelson comes to Griffin with an impressive background both in the industry and beyond. She holds a bachelor’s degree in horticulture from Auburn University, and has worked as a research assistant and, most recently, as a grower for Natural Beauty Growers in Denmark, Wis.
Away from the greenhouse, Nelson is a second lieutenant and platoon leader with the Wisconsin Army National Guard; her service includes a one-year tour of duty in Baghdad, Iraq, as part of Operation Iraqi Freedom. She is based in Wisconsin and can be reached by e-mail at anelson@griffinmail.com or by phone at 920.606.6998. Griffin Greenhouse Supplies, Inc., headquartered in Tewksbury, Mass., has served the needs of growers in greenhouse and nursery production, and independent garden centers for more than 65 years. Griffin operates 15 fully stocked service centers, serving growers and retailers nationwide. The business also distributes live goods including seed, cuttings and young plants. Griffin is among the premier distributors in the U.S., with an outstanding reputation for operational excellence, high-quality products and superior customer service. For more information, please visit www.griffins.com.